From ZBrush 4R6, DynaMesh supports maintaining the model’s existing PolyGroups whenever a re-mesh operation is performed. This also includes the groups created by using Insert Mesh brushes in either add or subtract modes. What this means is that you can more easily create complex models by easily com­bining DynaMesh with functions like Polish by PolyGroups or Panel Loops. 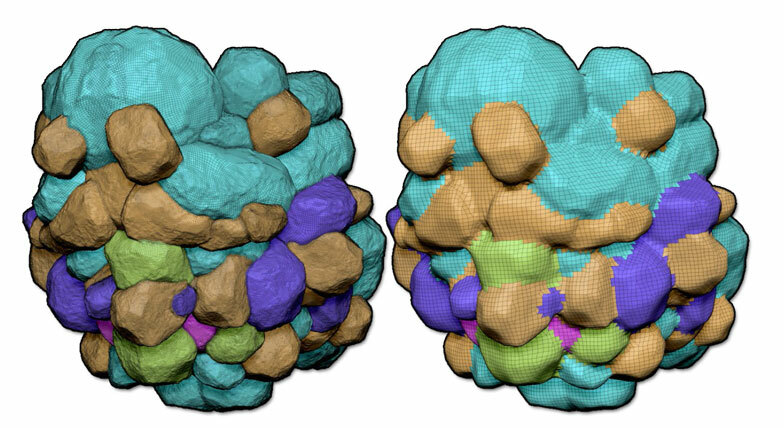 On the left, the model with its PolyGroups and on the right, the DynaMesh model with the Poly­Groups preserved.